Glitter Gal I purchased 6 dozen snow globes to give to my pre-ballet students at the end of our recital. 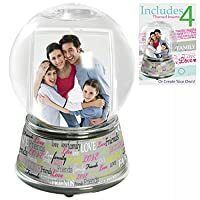 I ordered them because I liked the size and cost of the snow globes (compared to other sites I looked at)for putting their pictures inside but I was very disappointed when they arrived because there was hardly any (silver) glitter inside! I made a special funnel to fix the tiny hole and spent an entire evening adding a white glitter to each snow globe. Also the black base does not stay on so after inserting each picture, I had to glue gun on each base so they would not fall off when I handed the girls there snow globe on stage. Alot of extra work during a very busy time of year! Homeschooling mom of three This is an easy to use activity that a group of children can do with very little supervision. It is clean so no mess to clean up but you have a pretty fun art project when you're done. We drew pictures to insert so they were unique. Jdilla Great product for groups to use and have fun with. Globes can be personalized and given as gifts! great arts and crafts project! Lori Great product for groups to use and have fun with. 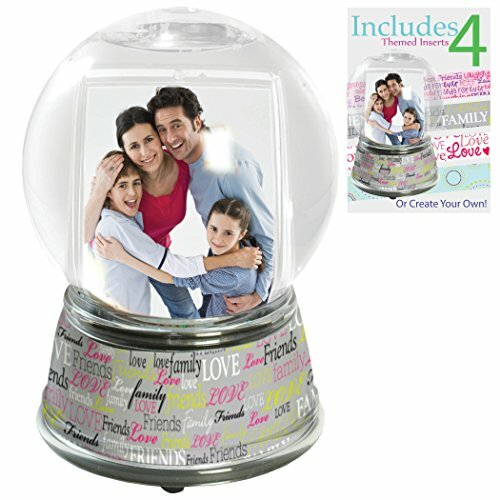 Globes can be personalized and given as gifts! great arts and crafts project!